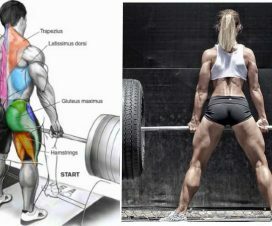 Home > Bodybuilding misc > Deadlifts: Should You Train Them With Back Or Legs? Everyone that has ever been in a gym has heard of the deadlift, one of the best barbell mass builders out there, and most people do it how they see fit. However, there is a correct way and there are all the incorrect ways to deadlift, no matter if you’re doing it with your legs of your back. The deadlift needs no introduction nor does it need any praise. Experienced trainers will tell you that deadlifting is one of the best exercises for a variety of goals. Over time, deadlifts have proven themselves as a part of your training that needs no debate as its unparalleled in building muscle mass, functional strength and incredible core muscles. Also, they boost your cardio-respiratory fitness and enhance fat loss if you get the mechanics right. Finally, they allow you to practice and strengthen your grip and as a result of that, help develop your entire posterior chain – the back muscles. However, when it comes to categorizing them, a lot of people wonder if they should count as back or legs exercises, and there is no “one definitive answer”. It all depends on how you execute them and how you use their effects. If you want to mostly use deadlifts to improve your legs, you really need to watch your exercise order. Instead of rushing off and grabbing the barbell, let it wait a bit and prioritize the amount of reps and the volume. You’re probably wondering why and the answer is simple – your workout will be less effective if you get mentally and physically tired at the beginning, and you also have a greater chance of getting yourself hurt. Before you begin your exercise pick a weight that will let you approach muscle failure on all actions except for the actual deadlifting, as the target reps are listed. For the actual deadlifts, choose a weight that lets you do a few extra reps after you’ve completed your specified set. If you want to avoid any negative consequences, do the exercises in the following order, not counting warm-up sets. Do four sets of 6-8 reps each of front barbell squats, and then two sets of 10-12 reps each. Rest for about two minutes to 150 seconds. Do three sets of 8-10 reps each of leg presses and rest for two minutes. Do three sets of 6-8 reps each of lying leg curls. Rest for a minute and a half. Do three sets of 8, 10 and 12 reps each of barbell reverse lunges (increasing gradually) and rest for two minutes. Do three sets of 8-12 reps each of barbell deadlifts and rest for two minutes. This should get your deadlifting up to spec on your leg-day workout, but if you want to get it correct for your back-day workout, you will need to switch it up. 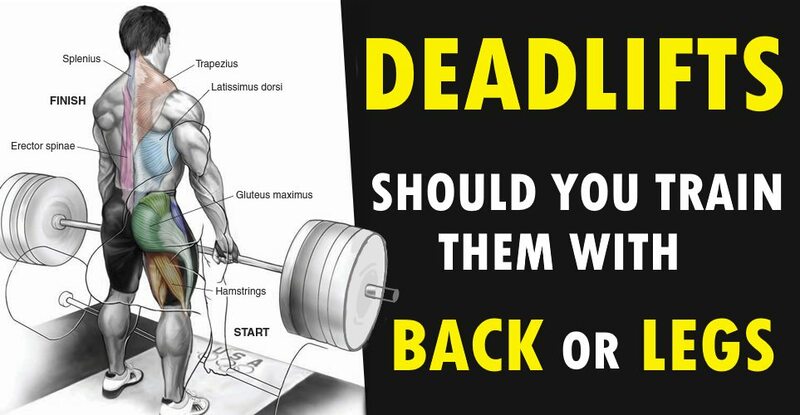 Instead of putting them last, do your deadlifts first. They are demanding, they’re hard to do and they exhaust you physically but they are your main activity for the day and everything else is just a side-note. If you want the best possible results, do your deadlifts hard, heavy and in lower reps. If you’ve mastered the way of the deadlift theoretically, you now need to master it physically – so when you lift, lift as heavy as possible. This is the one activity in a gym that requires you to keep up on the volume and rest patterns that come with most strength workouts and require heavy lifting, but don’t actually exhaust you to the degree that your muscles give out. Do four sets of barbell deadlifts of 5, 3, 2 and 5 reps respectively. Rest until you can continue. Do three sets of t-bar rowing of 8 reps each. Rest for two minutes. Do three sets of neutral-grip pull ups of 8-10 reps each and rest for two minutes. If you really need to, you can use additional weight or an assisted pull-up machine, your call. Do three sets of kneeling high pulley rows of 15 reps each. Rest for a minute. Do three sets of dumbbell shrugs of 12, 10 and 8 reps respectively and rest for 90 seconds. I can appreciate people really liking deadlifts, but don’t try to stick them in all of your days. Pick one – either your back or leg day and stick with that for a while. Then, switch it up and put them in your other workout. After training, allow for sufficient time for your body to recover, especially its neural recovery which relaxes your muscles after constant stress in exercising. Trust me, you will be grateful and it will enable you to stick to the program and continue your rise. However, if you’re a powerlifter, to risk sounding like a rookie, these rules don’t apply to you. Powerlifting splits are determined by either the session’s objectives or the lifts trained and if you want to be ready for that next competition, like so many before you, stick to deadlifts and squats on the same day, to simulate a meet. If you are still really keen on training these on separate days to make better use of your deadlift time, I strongly suggest you do them a day over, not more than three times per week. So, if you want to really hit the supporting accessory work, do a Monday-Wednesday-Friday scheme and you’re set. If you’re looking for a way to determine which way is the best, you’re wasting your time. Powerlifters have done it both ways and achieved success equally. After all, these are not the only factors.